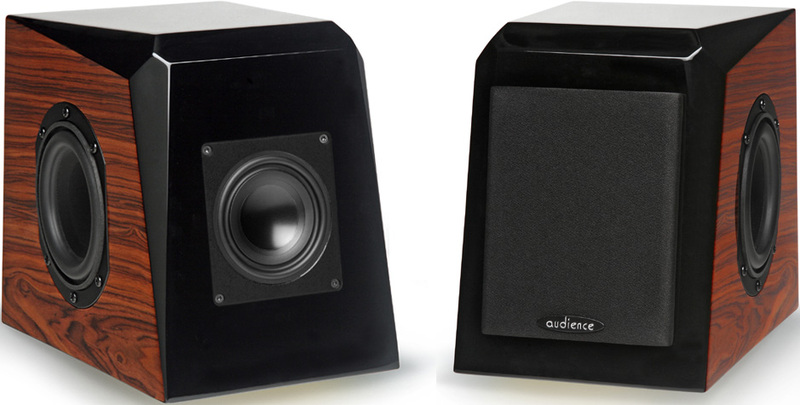 I reviewed the Audience ClairAudient 1+1 loudspeakers, now called V1, in June this year. Just after I returned the speakers, John McDonald of Audience called and said there were two updated version of the Audience ClairAudient 1+1, namely the V2 and V2+. I have heard both and each is a major improvement over the originals that I reviewed in June. That doesn’t change the fact that everything I said in the review is still true about the V1 version. Before we talk about the difference in sound though, I should tell you about the physical differences between the three versions. All three versions look exactly the same from the front or the sides, and that is a very fine looking speaker, indeed. On the back of V2+, you will notice different binding post, and that is the only difference you can see between the three versions. Still, there are significant internal differences one can easily hear. Both V2 and V2+ have significantly improved drivers and differently tuned passive radiators to match the new drivers. These drivers are built to higher mechanical tolerances. This is done by manufacturing the frames and motor to fit together more precisely. They have also used motors that are stronger; this was done by making the magnets with higher quality steel, the tensile wires are OCC copper, and the drivers now use a single 16 ohm voice coil instead of dual 8 ohm. All of this results in fewer solder connections and lesser wire. The V2+ has “Tellurium” binding posts and are wired internally with Audience’s top-of-the-line Au24 wire. In my review of the original version, I mention that John had commented that if I liked the Quad ESL 57 I should hear their ClairAudient 1+1. I want to tell you that both V2 and V2+ are significantly more transparent than the Quad 57 and will play louder. The volume and power difference between the originals and V2 and V2+ really surprised me. In addition, they now sound better in bigger rooms. I guess nothing could make this point better than the sale of my Teresonic Magus A-55 bookshelf speakers that I use in my video/digital system. With both the Teresonics Magus and Audience speakers, I used them in this system crossed over to the TBI Audio Systems Magellan VIP subwoofers. 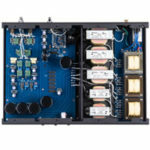 The amp in this system was the Electrocompaniet PI 2D integrated amplifier. The Audience V2 and V2+ actually blended better with the subs than the Teresonic Magus did. The room this system is in measures 24 feet by 15 feet with a vaulted ceiling. The speakers and 65-inch Sony 4K television are set up on the short wall, and I sit about 18 feet from the speakers. The speakers are about 2 feet off the wall behind them and about 8 feet apart. With both V2 and V2+, this system fills the room with more than enough volume and great dynamics. The speakers are about 18 inches above the floor and mounted on four of the brass cones that have the screw in tips for leveling. I took the tips off and filled the opening with blue tack and use blue tack to attach them to the speakers. Yes, they would sound better on stands, but that is not possible in this system, and I am simply amazed at the sound I am getting from movies, TV, and music. 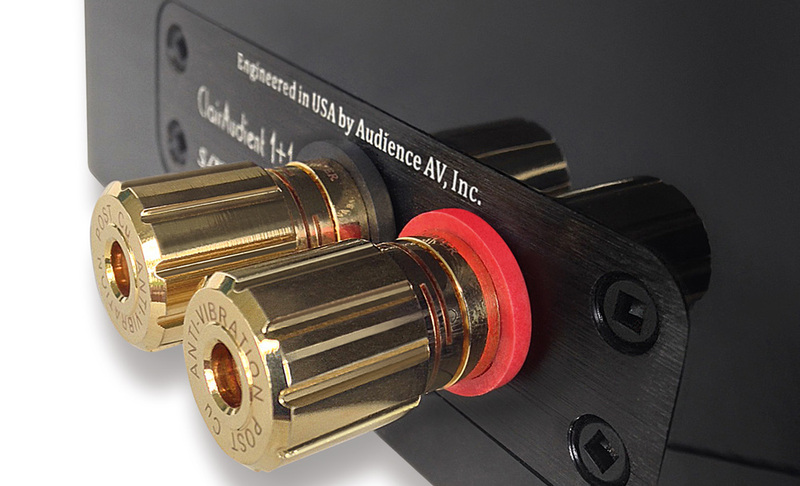 For review purposes, I also used the Audience ClairAudient 1+1 V2 and V2+ in my reference system that consist of a pair of Teresonic Ingenium XR Silver, a Pass Labs XA30.8 amp (also read the Part II and Part III Reviews), the Soundsmith SG-220 Strain-Gauge preamp and cartridge mounted in an AMG Viella V12 turntable system. In this system, I placed them on 30-inch lead filled stands and placed about seven feet apart and about 18 inches off the back wall. The biggest difference was again in dynamics, micro-dynamics and available power. In this system, I was amazed at how incredibly like live music they sounded from the lower midrange up through the top end. They also provided an incredible soundstage. Now, if only Audience could give us a speaker that sounded like this down to around 40Hz. So far, we have been talking about how the V2 and V2+ differed from the original as they are now called the V1. I know you want to know how the V2 and V2+ differ from each other. Well, the edition of the “Tellurium” binding posts and Audience’s top-of-the-line Au24 wire results in an additional layer of refinement. They have a slightly smoother and more extended top-end. 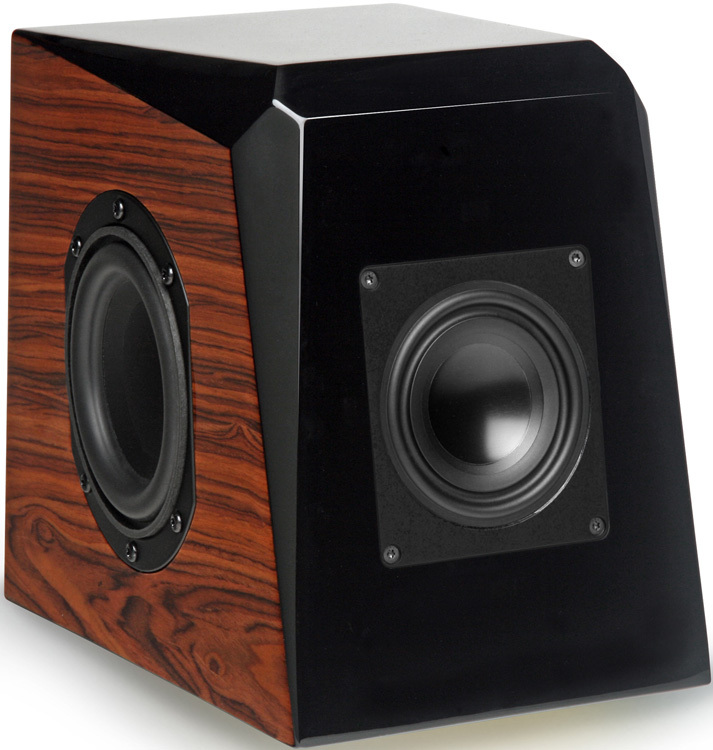 They have one of the most natural sense of timbre I have heard from any speakers in the midrange. The bass seems slightly fuller as well. All the versions of the Audience ClairAudient 1+1 are worthy of whatever associated gear or cables; you can afford to pair with them. The ability of the ClairAudient 1+1 to produce a reach-out-and-touch-someone soundstage, to my astonishment, is even better with V2 and V2+. It was already the best I’d heard in my house for under $17,000. 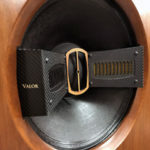 I would say that the V2+ speakers are the reigning king of this much-desired attribute of high-end speakers. I guess you can tell I really like these speakers ,and while they are an incredible setup for near-field listening in a small room, I found V2 and V2+ were wonderful in my big rooms. I’m replacing my Teresonic Magus with the V2+ in my video/digital system. I am very pleased with how well they mated with my pair of TBI subwoofers. Even without the subs, these are great speakers in small to medium size rooms. I gave the originals my highest recommendation and V2 and V2+ are even better! Dimensions: 6" x 8" x 9.75"
Prices: $1,800 for the V1, $1,995 for the V2, $2,345 for the V2+. Thanks for the review, I own the Ones as part of a desktop system and I am amazed at how good they sound. They also blend really well with a subwoofer. Maybe some day I will upgrade. great review thanks for sharing; am shipping my two pair of 1+1s off for upgrade tomorrow. Really appreciate how John and crew keep raising the bar — and even moreso on how they allow an upgrade path on purchased product. I hope you enjoy them as much as I am enjoying mine. Thanks for reading Dagogo. The ClairAudient 1 + 1 is already a phenomenal nearfield monitor. I was glad to hear that John McDonald and his chief design engineer Roger Skeker (an authentic audio genius) have pushed the envelop with new versions containing even better parts and materials that make it, in your words, “more transparent than a Quad 57”. 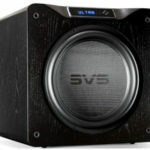 How if only Audience would come up with a matching sub for this speaker they would have a uniquely coherent full range system. How are these for Rock? Looking for lightning fast transients and sound stage/ space besides the mandatory tonal accuracy. Considering another full range speaker made out East, but the knock is volume and bass. How do the three versions differ in these parameters? If you plan to play music at live rock level volumes, then as great as these speakers are I would worry you might damage them. I use them in a large room at loud levels, but these are mine and if I damage the driver that’s my choice. If you are willing to make that choice with a sub they will play rock superbly. You mentioned in your Oppo BDP-105D review that as fine sounding as the Oppo was with SACD and DSD in your video system, Redbook was pretty much a non-starter with you using the Teresonic Magus A-55s. 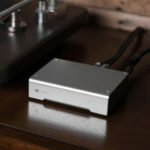 Are you still using the Oppo for music in your video system? If so, I imagine there must be a difference with the Audience ClairAudient V2+ now in the system, but a meaningful difference for you with Redbook ? In a room approximately 12ft by 16ft, do you think the V2 or V2+ versions of these speakers would give a low end on a par with the Quad ESL57? If so, I would imagine that – from what you have already mentioned in your comparisons – these speakers would be the preferred choice over a pair of Quads in a smaller to mid-sized room; that would be saying a lot!